Build your career in SAP System Business Objects to support your company strategic reporting requirements. Develop new solutions, enhance and modify existing data warehouse solutions, and provide data analytic support. Explore how to create queries and documents as well as work with charts and reporting tabs and sort data. Prepare multiple reports/visualizations, use conditional formatting and other options for document presentation. Learn the power of Business Objects Reporting/Analytics using the Web Intelligence tool. 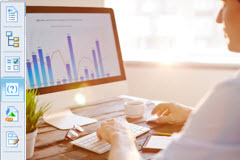 This course teaches the most common end user functions in SAP's Business Information (Business Warehouse) system and is a basic requirement for anyone working with SAP's reporting/analytics solutions. Using filters, drilldowns, conditions, etc. Impress companies with your ability to create SAP Web Applications that add customized functionality. This course teaches the most common functions for working with SAP's Web App Designer. Required learning for anyone working with SAP BI. Help companies in the decision making process. You'll learn the basic uses of SAP's BusinessObjects Web Intelligence Reporting functionality. This course is essential for every SAP professional new to Web Intelligence and Analytics. 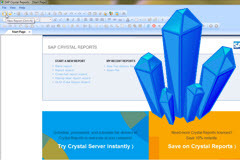 This beginner-level course will explore Crystal v9-2016 via a cumulative series of practical exercises designed to get you up to speed as quickly as possible. 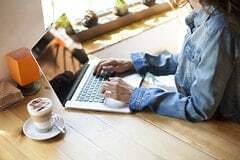 You will begin with basic report creation and use formatting, then dive into sorting, grouping, and filtering, followed by powerful Cross Tab Reports. This step-by-step course will take you into the incredible world of SAP BI/BW. The extensive overview section is valuable to all who want to understand what is required to develop within the Business Warehouse solution. Take the full detailed course and you are on the path to becoming a highly proficient SAP BI/BW Analyst. Do you need more from SAP reporting than canned reports? Take a knowledege dive into Business Objects with a deep focus on Web Intelligence report design and implementation. Create complex reports and learn handy functions to clean-up your report output. 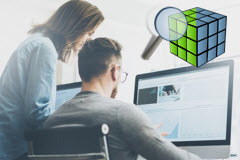 Upon completion of this course, you will be able to successfully design and deliver end-to-end Web Intelligence reports.